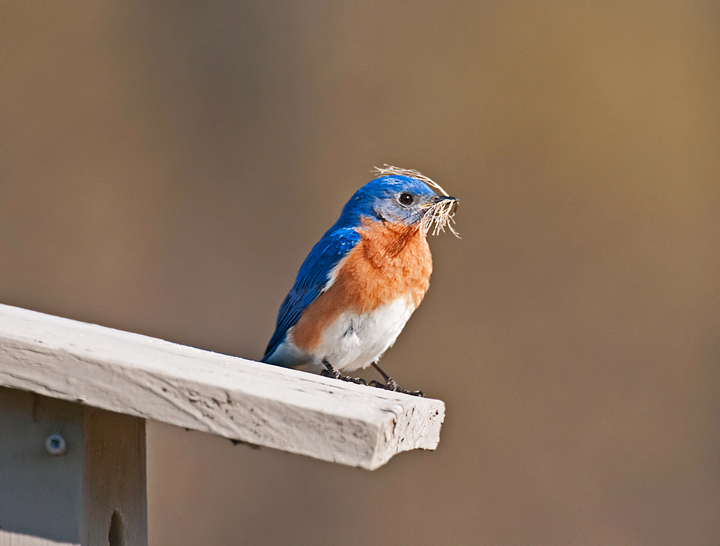 I’ve been watching Eastern Bluebirds, House Sparrows and Tree Swallows as they built their nests this spring. The female Eastern Bluebird seems to do the bulk of the nest building. She usually tries to bring large amounts of nesting material on each trip. Sometimes so much material that she has trouble getting into the nest. The Male Eastern Bluebirds doesn’t seem to do a lot of work. He watches the female and sometimes follows her to where she is gathering nesting material. I’ve yet to see the male bring any material to the nest. In fact, one day the male went into the nest and actually brought some material out. The House Sparrows are different. Both the male and female participate in nest building. They are similar to the bluebirds in one respect, they seem to try and bring a lot of material on each trip. It’s hard to tell if both the male and female participated in nest building since I can’t tell them apart. I have noticed that they bring only small amounts of nesting material on any given trip. 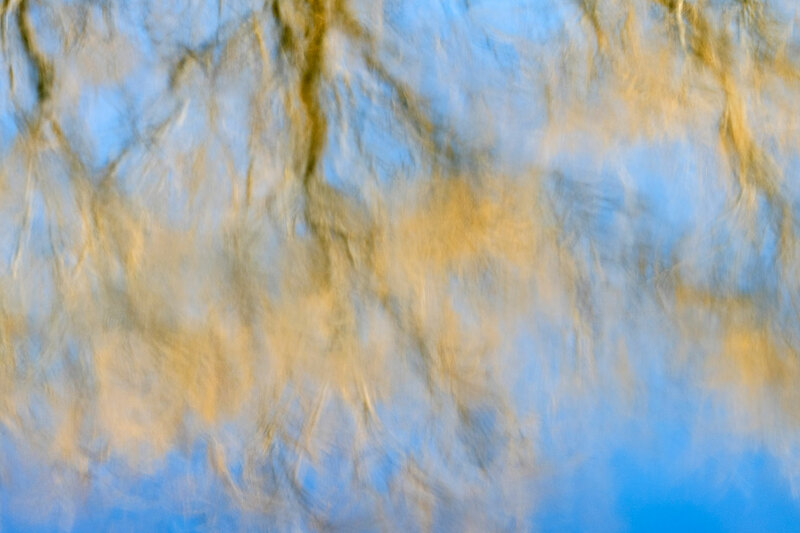 More Bird Photographs can be found on my Website. I’ve been watching the Tree Swallows as they prepared their nest and raised their young. On this particular morning one to the Tree Swallows seemed to be doing his morning exercises while the mate was tending the nest. 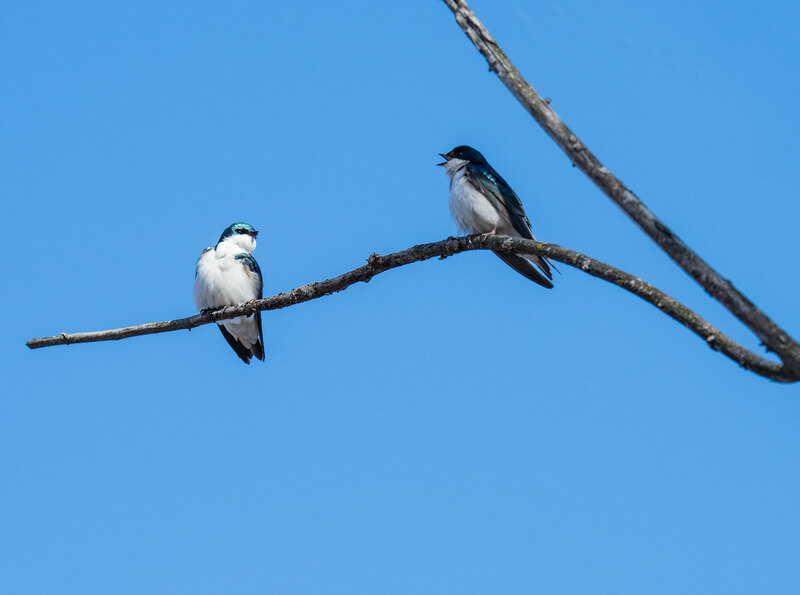 There have been an amazing number of Tree Swallows around this spring. 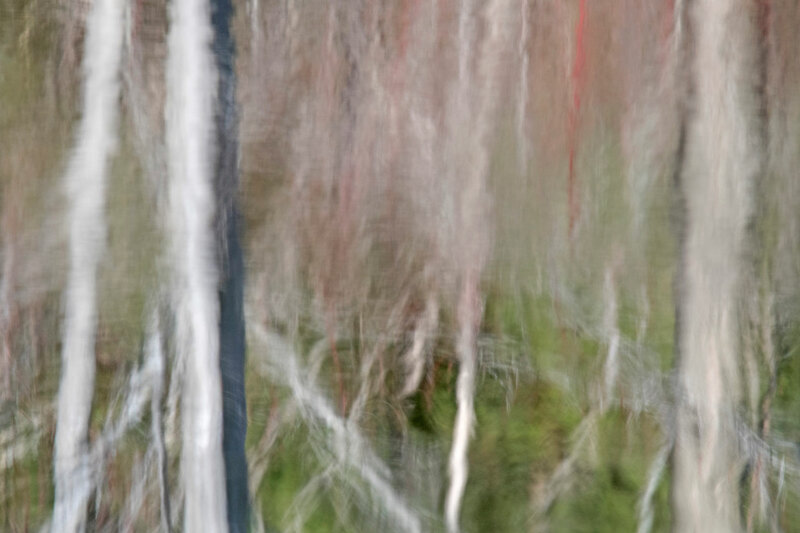 On a recent visit to Hoffman Hills Recreation Area they were everywhere. 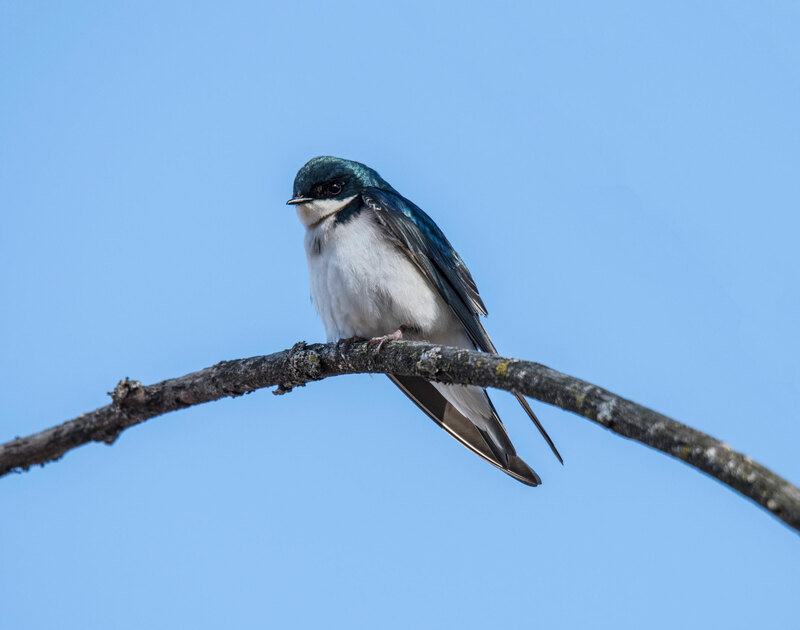 We were at Hoffman Hills Recreation Area yesterday and spent about an hour watching several pair of Tree Swallows battle a pair of Bluebirds for a single bird house. Apparently there were multiple offers on the house and the contenders kept raising the offer. The Bluebirds were the only ones that actually went into the house. The Tree Swallows sat on a branch about 20 feet away and would periodically make a run at the house. As soon as the swallows neared the house the Bluebirds would come back to the house and chase them away. The Swallows would the harass the Bluebirds. 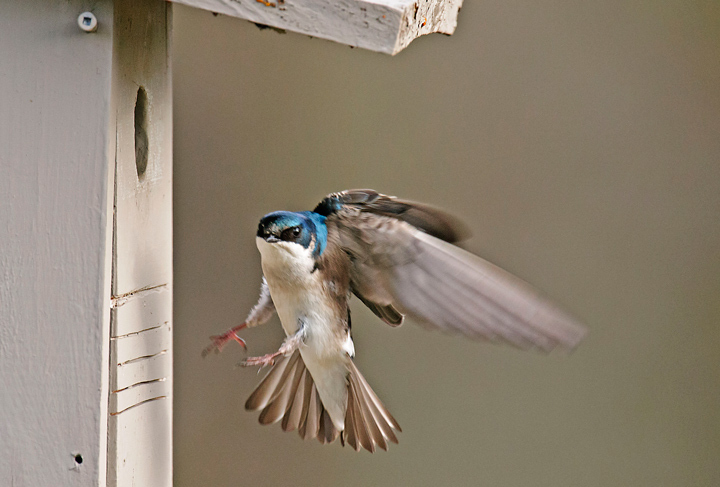 At the same time another pair of Tree Swallows were dive bombing the pair that was trying to get to the birdhouse. This past week three more spring birds returned to the farm. 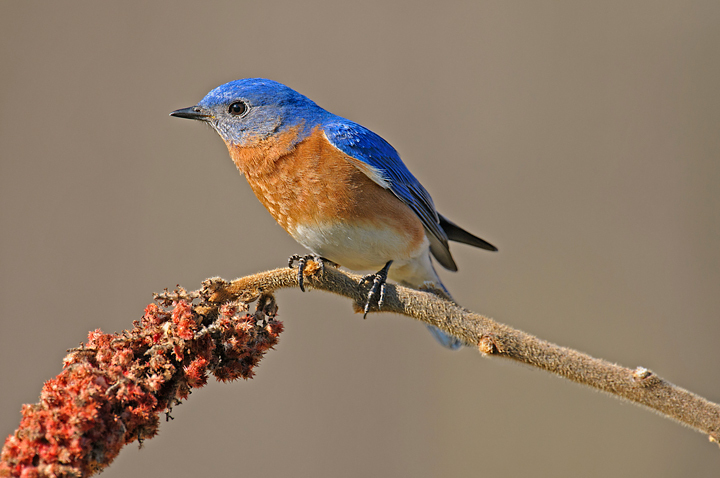 The Eastern Bluebirds returned to the area several weeks ago but only turned up on the farm the last couple of days. Right behind the Bluebirds were the Tree Swallows. Both are vying for the use of the same houses. 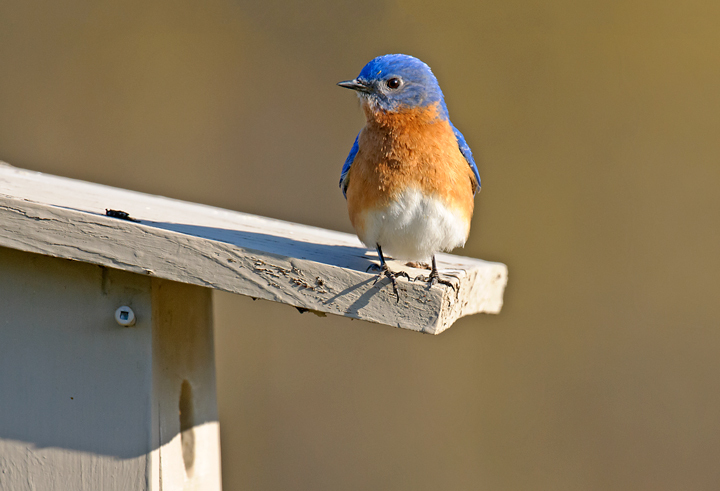 I have a dozen bird houses around the farm and have yet to figure out why the Bluebirds and Tree Swallows always seem to want the same houses. 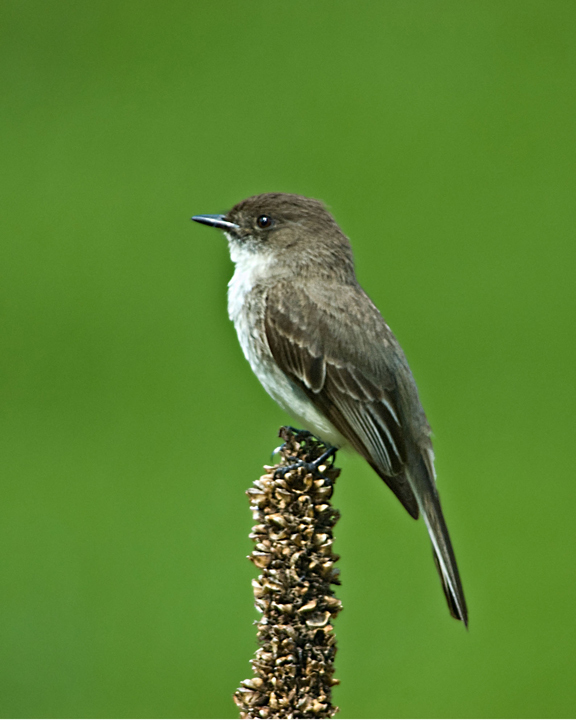 The Eastern Phoebes also returned this week. They have been busy working on their nest. Since the nest from last year is available they seem to be only doing some minor repairs.